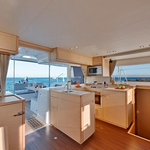 Yacht Lagoon 450 called New Cat has been built in 2014. 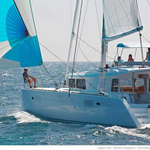 We propose this sailboat from harbor Sibenik in region close to Sibenik. New Cat is registered for 12 passengers. 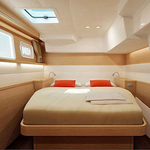 Layout of the sailing boat is 12. 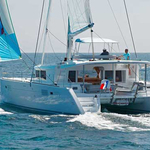 Lagoon 450 New Cat is equipped with 6 cabins. 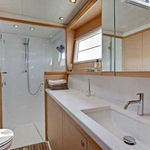 For comfort of passengers there are 4 toilettes. You can fill the diesel tank with 1000.00 l liters and in water tank it goes even 350.00 l l. With engine 2x40 hp New Cat can move really fast. New Cat is 13.96 meters long and 7.84 m wide. Depth is 1.30 meters. 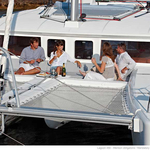 Use the search engine for search for different boats clicking here: Catamarans Sibenik. Deposit is at the level of 3500.00 EUR. 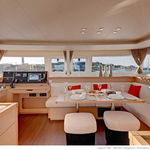 Choose our offer and have good time on the deck of New Cat. 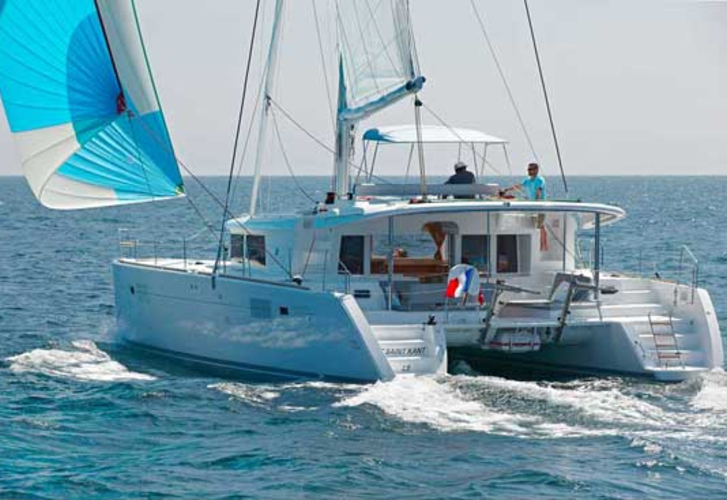 This Lagoon 450 from Sibenik from Croatia You can search clicking here: Catamarans Croatia.